There are many ways to support an Eat Local habit. If you really want to go crazy, you can try a zero mile diet, a backyard garden. Or in some cases, the two block diet or the 5 ½ block diet (my choice, since that’s how far my community garden plot is). More likely — and a lot less work — feeding your Eat Local addiction could be buying produce or preserves at a farmers market or craft fair. It might be supporting a local food retailer or buying via a CSA program (community supported agriculture) or food co-op. Or even more simply, it could be as effortless as checking the label at the supermarket, and choosing products with a tell-tale red, Made in Canada maple leaf on the package. Really, it’s not a big deal. You don’t have to sign a placard or worse, carry a placard. To be part of the Look at the Label Campaign, you just have to, well…look at the label. Find out how far your food has traveled to reach you, and choose options that are produced nearer to home. While you’re at it, you can look for additional benefits. Look at the labels in the produce section to find out where your fruit and veggies come from, then choose the ones from closest by and grown with the best farming practices. Choosing items that are currently in season will help support your local farmers year round. Read the labels in the bakery to find out which goods were made locally and which were shipped a great distance. If they’ve come a long way and have a long shelf life they’ll have had to be pumped full of preservatives. Real food, the kind with nutritional value, will rot. Pseudo food, does not. Examine the labels in the sauces and canned goods aisles. I’ll bet you can find the lots of local sources for your favourite flavours amidst the dizzying array of options. Check out the labels in the coffee and tea aisles. I can’t find coffee that’s grown nearby, but that doesn’t mean I’m giving it up! I can, however, choose locally roasted and/or fair trade beans that give farmers a living wage. Definitely look at the label in the meat department. Nearby sources are good, organic and grain fed are even better. 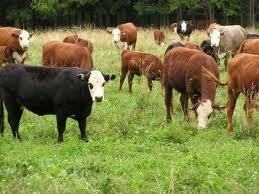 Meat and poultry are prime sources of secondhand pesticides, chemicals and pharmaceuticals. Face it, eventually, we eat what they’ve eaten. Be sure to check the label of eggs and dairy products both to ensure the animals have been raised humanely, and to be sure you know what you’re eating. For example, “frozen dessert” instead of “ice cream” on a label is code for “made with petroleum by-products,” which is just gross. Michael Pollan said it best when he described his rules for buying food. If the ingredients are not something you would find in your grandmother’s pantry, don’t put it in your mouth. This entry was posted in General, Industry Issues and tagged Michael Pollan, zero mile diet on November 23, 2010 by local delicious.